Cape Town pastor Michael Swain answers questions from Gateway News about his calling into an arena that is increasingly capturing news headlines and challenging Christians to respond effectively. 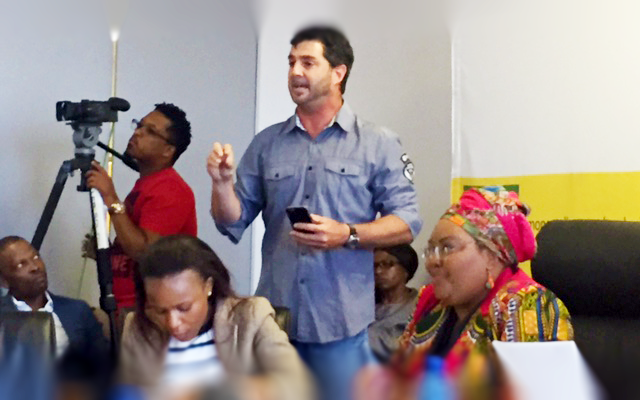 On Tuesday 17 November, Freedom of Religion South Africa (FOR SA), along with leaders from various religions and faith communities, participated in a meeting convened by the Commission for the Promotion and Protection of the Rights of Cultural, Religious and Linguistic Communities (“CRL Rights Commission”, a state institution established in terms of Chapter 9 of the Constitution) to discuss the Commission’s controversial investigation into the “commercialization” of religion and abuse of peoples’ belief systems. How will we respond when persecution comes?